Found your calling? 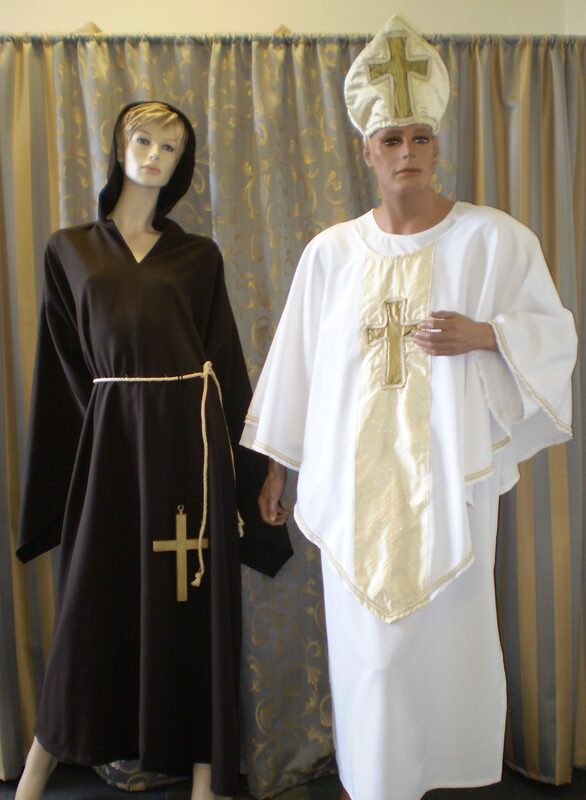 We have a selection of religious costumes to choose from. If you are not interested in hiring and would like to check out which ones we have available to purchase click here. Includes robe, collar, scarf and cross. 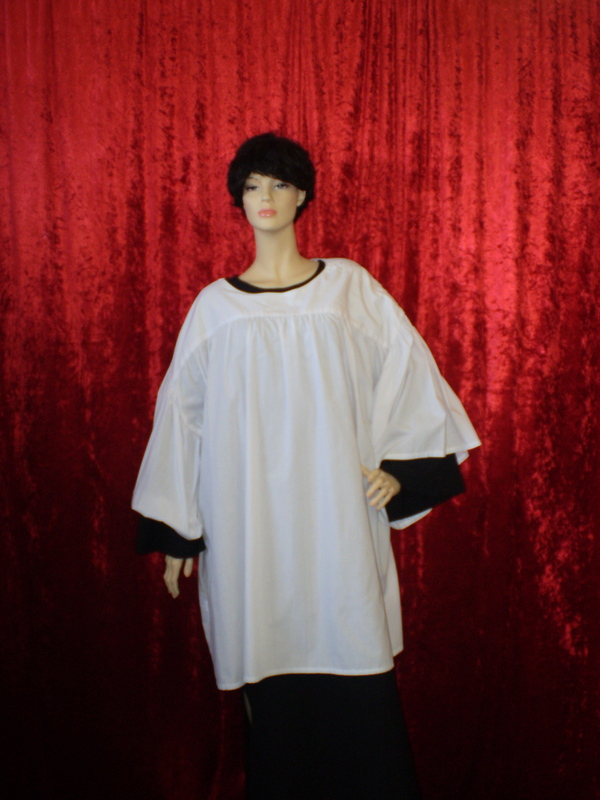 Robes available to fit all sizes. Price: $40—$45 hire plus $50 refundable bond. Generally the hire period covered by these prices is over the weekend or 2-3 days during the week. Novice or old fashioned habits available. 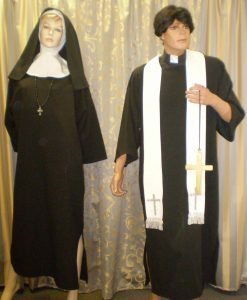 Includes habit headdress, gown and cross. Dress or robe available to fit all sizes. Price: $40 hire plus $50 refundable bond. Generally the hire period covered by this price is over the weekend or 2-3 days during the week. Take a look at our Priest or Nun costumes available to buy. Size: Assorted caftan sizes available. Price: $45 hire plus $50 refundable bond. Generally the hire period covered by this price is over the weekend or 2-3 days during the week. Suitable themes: 1960’s, 1970’s, TV. Size: Loose caftan fits most sizes. Price: $65 hire plus $60 refundable bond. Generally the hire period covered by this price is over the weekend or 2-3 days during the week. Includes hooded robe made from quality fabric, rope tie belt, & cross. Size: One size (realistic draped loose fitting). Price: $45 hire plus $50 refundable bond. Generally the hire period covered by this price is over the weekend or 2-3 days during the week. Monk costumes to buy. 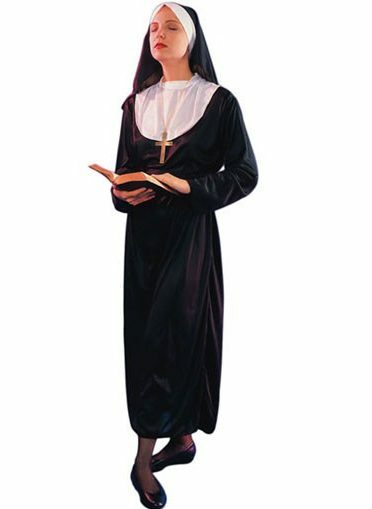 Includes one size fits most gown up to 120cm chest, hat and cross. Price: $55 hire plus $50 refundable bond. Generally the hire period covered by this price is over the weekend or 2-3 days during the week. 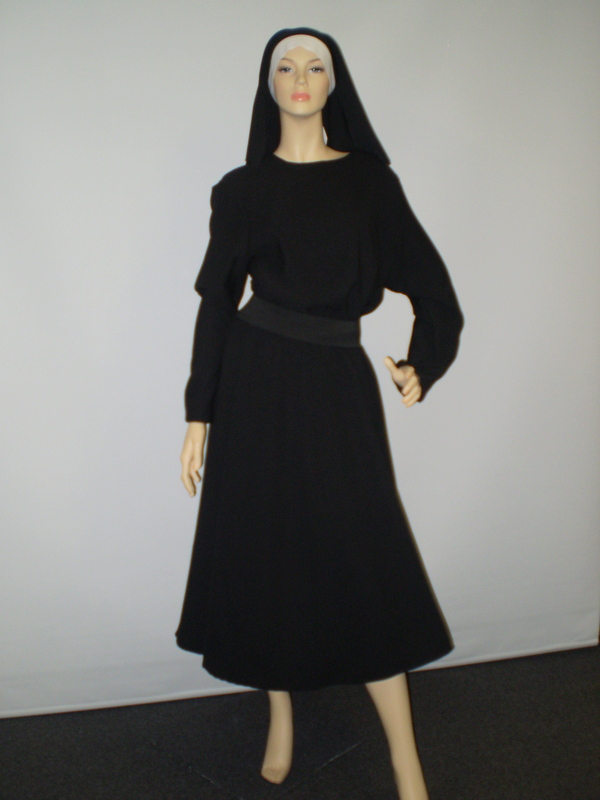 Includes gown, drape and glasses. BYO bald head or we have some available to purchase. 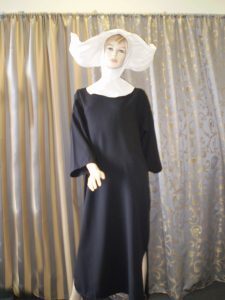 Includes black gown & white overgown. Price: $50 hire plus $50 refundable bond. Generally the hire period covered by this price is over the weekend or 2-3 days during the week. 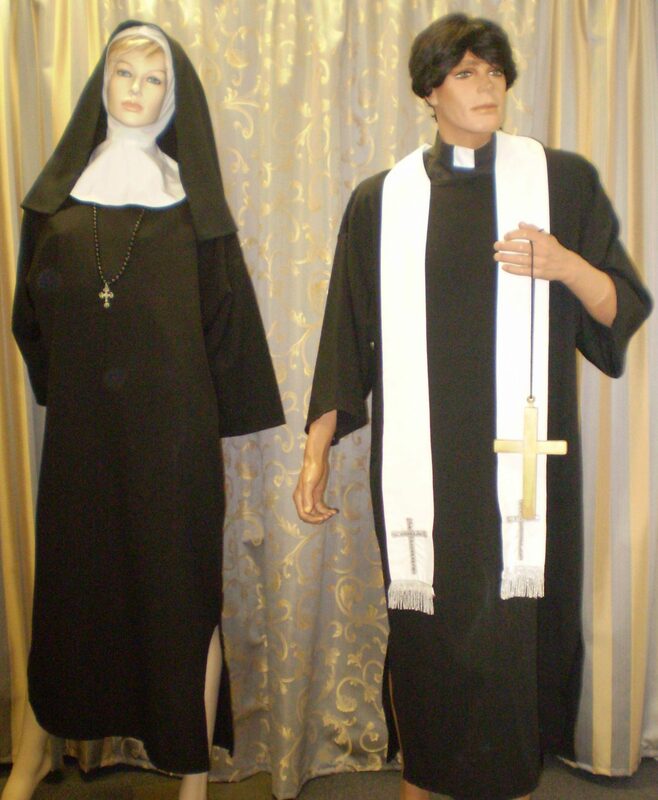 Suitable themes: Uniforms, Religion, Black and white. 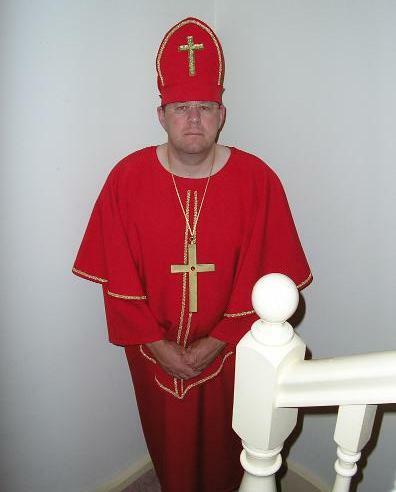 Prefer to buy your religious costumes? Our prices are just as good as online and you get to try things on. Crosses sold separately in store. 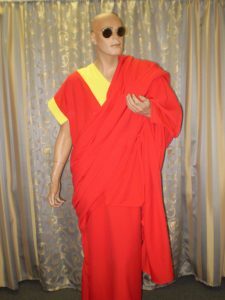 Click here if you haven’t yet seen our range of religious costumes to hire.